There’s no real mystery to “The Secret Life of Pets,” a title which tantalizingly plays on humans’ desire to imbue 24-hour richness to the creature companions they leave behind every day. 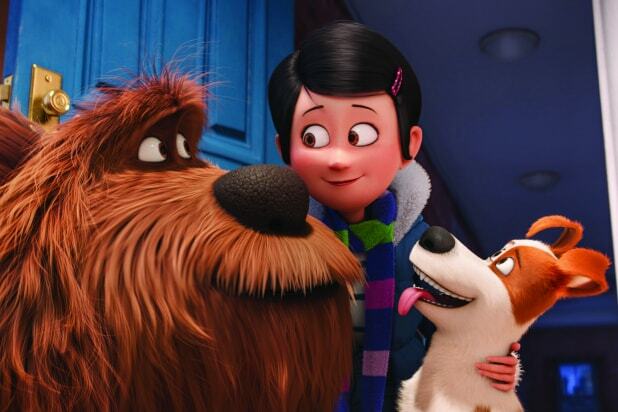 Two things you won’t be surprised to learn from this zippy, Manhattan-set animated lark from the “Despicable Me” studio Illumination Entertainment: this world’s animals can talk (albeit only to each other), and dizzying adventure follows. But for all the genuine charm on display, you may be disappointed to find that manic activity overtakes said charm, and that more isn’t made of a simple, clever premise that nevertheless seems destined to rake in big summer movie bucks. There’s plenty to like in the first twenty minutes, though. It’s hard not to fall for a winning early montage that clues us in to what happens when off-to-work owners — in this movie, apartment-dwellers all — shut the door on their pets. A dachshund manipulates the electric mixer into a massage device. A bird turns a whirring fan and a POV video game into a virtual reality flying exercise. A poodle flips the radio from classical music to heavy metal. 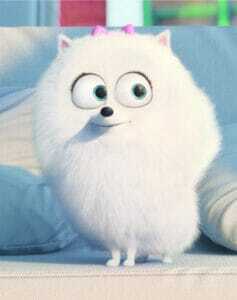 Of course, that’s just the makings of a cute animated short. A feature requires a story, so our narrating protagonist is an adorably needy terrier mix named Max (Louis CK), whose daytime existence is as most dog lovers suspect: waiting expectantly for owner Katie (Ellie Kemper) to come back home. But when she returns later with a pound rescue — a big, shaggy ball of dog named Duke (Eric Stonestreet) — Max feels threatened, and a mini turf war develops. The leash comes off, though, when Max and Duke get separated from their dog walker, and get lost in big, bad Manhattan. A run-in with an externally fluffy, internally hardened street rabbit named Snowball (Kevin Hart) leads to an underground lair of “flushed” pets: discarded animals, from the cute (dogs, cats) to the creepy (alligators, snakes), that Snowball is organizing to retaliate against an uncaring human world. Between the sweetly funny apartment scenes and the clever revolutionary humor of the rejected pets, director Chris Renaud (“The Lorax,” “Despicable Me 1&2”) early on strikes a sprightly balance between the cutesy and anarchic in the screenplay (credited to Cinco Paul & Ken Daurio and Bryan Lynch). But as our dog heroes’ adventure shifts into warp speed — chase, rescue, repeat — you can feel the graceful zaniness give way to forgettable high jinks and a mechanical, attention-holding pace. A late-in-the-game stab at sentiment concerning Duke’s origins feels more like a breather in the action than an organically heartfelt story point. Still, this is one of the rare animated films outside of Pixar’s roster in which the key vocal performances have a comic exuberance that syncs up nicely with the character renderings. 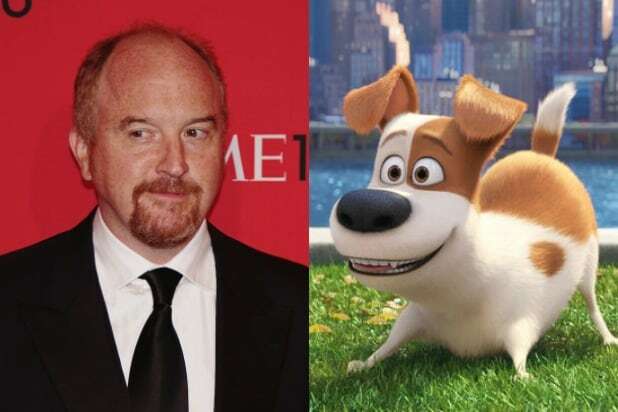 Louis CK’s unmistakable blend of sardonic smarts and average-dude appeal are perfect for a worried mutt like Max, although his personality is ultimately drowned out by the whiz-bang plot. Hart’s Snowball, meanwhile, dominates the movie’s frenetic second half, offering up a pleasurably warped, energetic mixtape of tough-guy stylings in one of the busy comedian’s best performances. Amiable and inoffensive, “The Secret Life of Pets” won’t rock anybody’s world among connoisseurs of talking animal sagas, not when the menagerie-with-a-message hit “Zootopia” and the runaway smash sequel “Finding Dory” have proven their box office mettle. This one is basically a peppy gag reel, and more likely than most family fare to get parents and children to laugh at the same gleefully absurd set-ups, from pets throwing a raucous party to a tattooed pig driving a van to a loopy Max/Duke dream sequence in a magical all-sausage land. My favorite: A contempt-filled cat (Lake Bell) humiliatingly discovers her surreptitiously recorded self on YouTube. And yet, when I asked a smiling grade-schooler after the screening I attended what his favorite moment was, he said “When the dog peed.” The not-so-secret life of animators: bodily functions win ‘em every time.